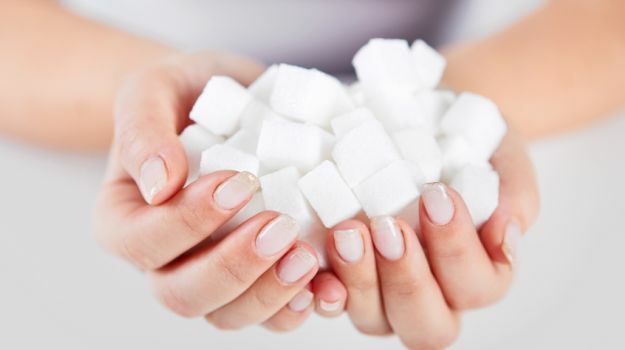 Previous research has drawn a link between higher sugar intake and breast cancer development, suggesting inflammation as a source, but the current study instead looked at the role of sugar in mammary gland tumor development. The study, published Friday in Cancer Research, found that mice with sucrose intake comparable to levels of Western diets had a greater risk for tumor growth and metastasis, compared to mice on a non-starch sugar diet. “This was due, in part, to increased expression of 12-LOX and a related fatty acid called 12-HETE,” Peiying Yang, Ph.D., an assistant professor of palliative, rehabilitation, and integrative medicine at MD Anderson, said in a press release. The study found that at six months of age, 30 percent of mice on a starch-control diet had measurable tumors, while 60 to 58 percent of mice on sucrose-enriched diets developed mammary tumors. In addition, the mice on a sucrose- or a fructose-enriched diet were at an increased risk of cancer spreading to their lungs, compared to those on a starch-control diet. Study authors said moderate sugar consumption is critical, as the per capita consumption of sugar in the United States is more than 100 pounds per year, and increased consumption of sugar-sweetened beverages is a significant contributor to the worldwide epidemics of obesity, heart disease and cancer.